Alcohol addiction is a disease. Many people do not fully understand it. But, it is a disease that is often disabling. Alcohol addiction is a major contributor to disability, disease, and death. According to the World Health Organization, alcoholism means using alcohol excessively on a long-term basis, despite the negative consequences that this alcohol use has caused. It refers to chronic drinking or periods of drinking with impaired control. While alcohol abuse and alcohol addiction are common, there are many treatments for overcoming them. There are many different alcohol rehab centers, addiction treatment options, and even aftercare programs available. If you need help in choosing an alcohol rehab center, there are tips and resources to assist you. Wherever you might be in your recovery journey, you can find the right alcohol treatment program and center for your situation. If you are just beginning to look for rehab help, a detox center may be a good starting point. Before you move forward with your recovery, you need to detox (detoxify) your body by removing alcohol from your system. But, withdrawing from alcohol suddenly may be dangerous. It may produce painful and even deadly alcohol withdrawal symptoms. Good detox centers will supervise your detox and help you emerge safely from the process. Once you have gone through the detox program, you may want to receive inpatient or outpatient treatment center assistance. These treatment centers may include therapy, resources, and other tools. During your search for an alcohol rehab center, it is a good idea to research various treatment programs. Many traditional rehab center programs use programs that incorporate 12-step traditions. They focus on these traditions to help you grow spiritually, psychologically, and emotionally. There are also alcohol rehab programs that offer holistic or alternative treatments. Such treatments may include yoga, meditation, hypnotherapy, and acupressure. You can also find religion-based alcohol rehab centers. In these centers, you will receive psychological and medical treatment in programs that use religious approaches. These are some alcohol rehab center options. When looking for an alcohol rehab, it is important to find one that fits who you are and what you believe. If you are a religious person, a religion-based rehab may be right for you. If you function better when you use principles or guidelines, you may want to attend a 12-step rehab. On the other hand, if you believe strongly in the connection between the mind and the body, holistic or alternative rehab may be right for you. While every alcohol rehab is different, they also offer some shared components. These shared components may help you build a strong foundation for recovery. Upon entering an alcohol rehab, you will undergo a complete assessment. This will help to diagnose the state of your addiction, other possible mental health issues, and your physical health. Known as intake, this assessment will include psychological and physical testing that will help the rehab center develop the best treatment plan for you. During intake, professionals will gather information about your history, family history, health issues, mental state, alcohol abuse, drug abuse (if there is any), and aspects of your life. The more information you give during these assessments, the better it will be for your recovery. It can help you and the treatment center create a treatment plan that is tailored to your issues and needs. This intake process generally lasts a few hours. The next step is the detox program. This could last between five and fourteen days. 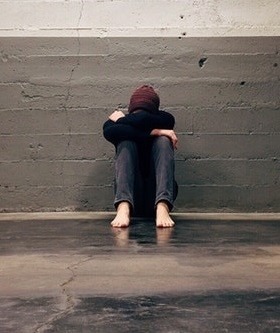 The length of the detox procedure varies based on the severity of the substance abuse, the state of a person’s overall health, the presence of withdrawal symptoms, and other factors. This is yet another reason it is important to give an honest, accurate personal history during intake to create an individualized, effective treatment plan. This is list is not intended to scare people. It lists possible side effects to illustrate why detox centers are so important. They will help ensure that detox and withdrawal are safe and comfortable as possible. After you complete the detox, you may enter an alcohol rehab treatment program. During this program, you might attend individual, group, and/or family therapy. Each type of therapy shares common goals. One major goal is to help you find the causes or issues behind your addiction and help you overcome them. Therapy sessions teach life skills to help you in your recovery journey. Relationships can help you fight your addiction. Learning how to be honest with yourself and others is crucial if you are going to live a life of recovery and sobriety. Therapy can encourage honesty. Therapy also helps people improve their communication skills, a tool needed to create and sustain healthy relationships. Group and family therapy sessions encourage you to talk honestly and openly. You will tell the truth about your addiction and others will speak their truths as well. When you attend individual therapy sessions, you can dive deeply into your issues and receive assistance to work through them. You can find support from other recovering addicts, your parents, brothers and sisters, friends, and others in your life. Building a healthy support system is vital to becoming and staying sober after you leave an alcohol rehab program. Philosophies in various alcohol rehab settings vary. That is why you want to make sure you find the most beneficial rehab for you. If you like worship and spirituality, a religious rehab may be the right choice. If you like alternative treatment ideas, holistic or alternative rehab may be the best option. You can contact an addiction recovery professional to talk about this journey. While overcoming an addictive lifestyle is a challenge in itself, there are other challenges you may need to overcome in your recovery. You need to learn how to prevent a relapse. Recovering addicts need to learn how to cope with cravings, handle arguments, and learn to say no. Overcoming these challenges can be tough. If you attend a rehab center that offers aftercare, you can build a strong foundation for your recovery. Aftercare may consist of attending 12-step meetings, participating in counseling sessions, staying in a sober living home, or taking medication. At first, it can take some time to learn about alcohol rehab and the recovery options available. You should know that there are options for everyone. Every alcoholic deserves to recover and that includes you. Treatment programs may last from thirty days to a year, sometimes even longer. The length of your program will depend on the severity of your disease, your health, the type of substances abused, and your history with treatment or relapsing. An effective rehab program will allow you to learn life and coping skills. The program will allow you to grow physically, spiritually, emotionally, mentally, and psychologically as well. Do you think you are ready to start the recovery process? Are you ready to put your life back together piece by piece? If so, and you want great support while doing this, an alcohol rehab center is going to be there for you. When staying at an inpatient rehab center you will have 24/7 supervision, meetings, therapy, schedules, and much more. Professionals at the center will teach you and support you in your recovery process. Before leaving an alcohol rehab center program, you might feel a bit scared or worried. It might feel like you will not have the support you need. You will still have support, though. You can still attend therapy and meetings and take other steps to follow through with your aftercare plan. Since your addiction took time to develop, your recovery will take some time as well. In fact, it is a lifelong process. Every recovering alcoholic creates and follows through with their recovery journey in their own way. If you need extra help, be sure to ask for it. There is no weakness in asking for help. You may need time to adjust to a lifestyle of recovery and that is normal. 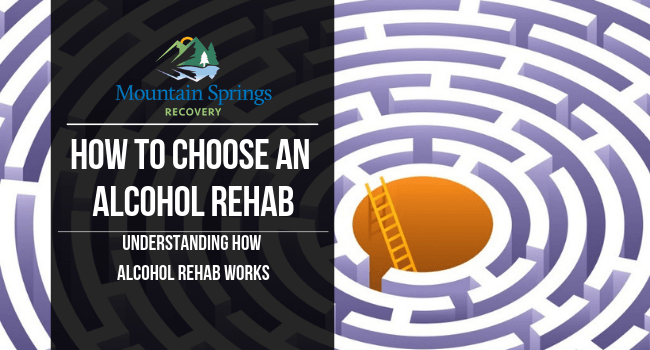 Choosing an alcohol rehab may seem tough. If you consider this advice, your rehab and recovery journey may go a bit smoother. It may help you start your recovery and rehab process today.